Cacau Brazilian Shine Keratin Hair Treatment Kit is an excellent Brazilain keratin line. 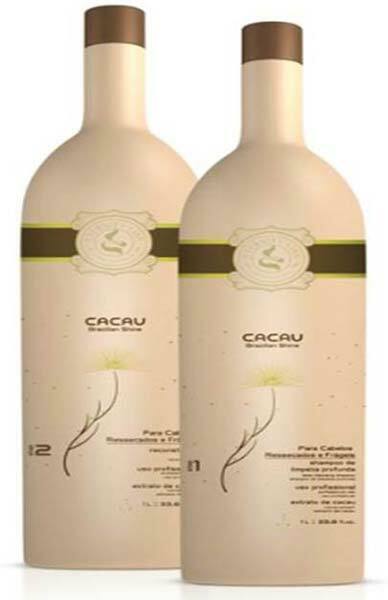 Cacau Brazilian Shine Keratin Hair Treatment Kit comes with 1 liter deep cleansing shampoo plus 1 liter volume reducing keratin. Our Cacau Brazilian Shine Keratin Hair Treatment Kit is effective in providing best detangling solutions to the hair. Also, it is effective in leaving hair soft and shiny. We also carry the home care kit, 250ml salt free shampoo + 250ml conditioner + 250ml leave-in..excellent as re-sale product to maintain your brazilain keratin for a longer period. also the 1 kg mask for professional salon use.